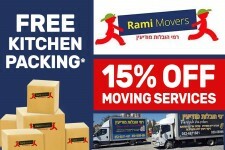 Between the road to Maccabim-Reut and the streets: Emek Ayalon, Klil HaChoresh & Emek Dotan. For info re: the happening on April 12th, see link at the bottom of the screen. A perfect family hike in the heart of the city. The best time to visit the hill is between November and April, when it is full of beautiful wild flowers and blossoming almond trees. 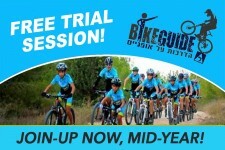 Givat HaTitora is the main and most important nature, scenery, and heritage site of its kind in the city of Modiin Maccabim Reut, and offers a variety of points of interest: scenic viewing points, general and military history, archaeology, and animal and plant life. The hill, which covers around 600 dunam, is located on the north-eastern border of the city, and reaches a height of 315 meters above sea level. You can park your the car at the top of the hill and start there, or park on one of the streets around the hill and walk up the hill from there. Entry for cars is on Klil HaChoresh opposite Migdal David. Drive around 100 meters to the top of the hill, where next to the water reservoir there is a parking area for around 40 cars, from where you can start a tour of the hill. 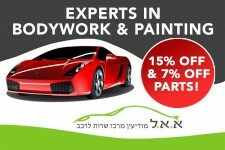 For those interested in a more challenging walk, it is recommended to park your car on Emek Ayalon next the Modiin Center and walk up from there. This walk is steeper and longer, and also displays Givat HaTitora in its full glory. When you reach the top you will not only discover a breathtaking view behind you, of the western side of Modiin and beyond, you will also feel the satisfaction from the climb, and all this before you have even started to tour of the hill itself. 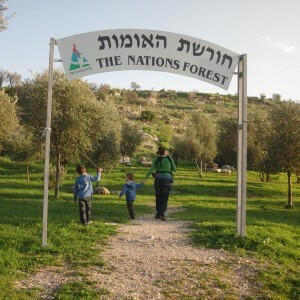 In November 2018, a team of official trail markers from the committee for the marking of Shvil Yisrael came to Givat HaTitora. This team came to mark one trail on the hill, which will connect the trails that have been marked until now in three different colors - black, green and red. The color of the new marked trail is green, and it encircles Givat HaTitora in a natural way in a 2 km walk. This path is intended for an enjoyable walk for those that love nature and hikes, and is not accessible. The trail includes an abundance of vegetation, cisterns and agricultural terraces, with beautiful blossoms of anemones and cyclamens along the trail during the winter months. Directional and informational signs, and audio information stations in Hebrew and English. Shaded areas with vines, seating areas, learning spaces and scenic viewing points of the city and the area. Amphitheater with 150 seats overlooking the area north of Modiin. The archaeological garden displays agricultural equipment and architectural items that were discovered in digs carried out on the hill and in the Modiin area, with explanation signs situated next to each item. These findings attest to the uniqueness and importance of the region in the history of the Land of Israel, especially in the Iron Age and the Second Temple period. The remains of an agricultural settlement were uncovered on Givat HaTitora - farms that had both a familial and industrial character, and that were adapted to the local conditions, as well as hiding caves, cemeteries, quarries, equipment, cisterns and an ancient road. (Written by the archeologist and tour guide, Danny Herman). Located in a dominant position, controlling the main road to Jerusalem via the Beth-Horon ascent. At the top, the remains of a Crusaders fort can clearly be seen. Its original name, "Tantara", was adapted in Arabic to "Tanturah" and the Hebrew to "Titura" (brimmed hat). During the 1990's Dr. Shimon Gibson, on behalf of the Antiquities Authority, conducted several excavations at the site. He believes that Titora Hill is the location of ancient Modi'in. He also exposed remains from the Israelite period, and many hideouts from the time of the Bar-Kokhba rebellion. Stop the Building on Titora!